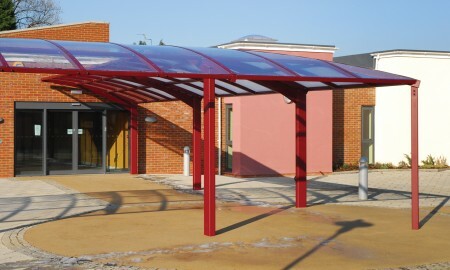 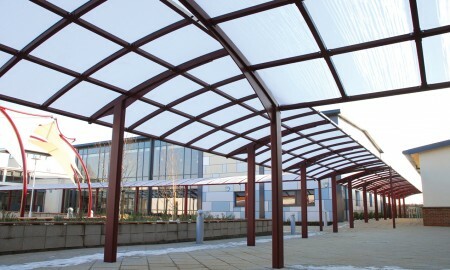 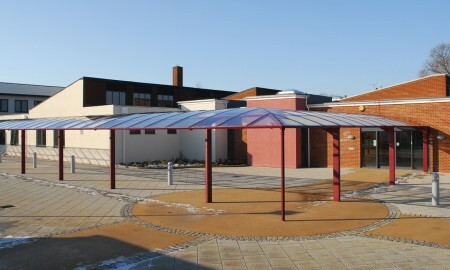 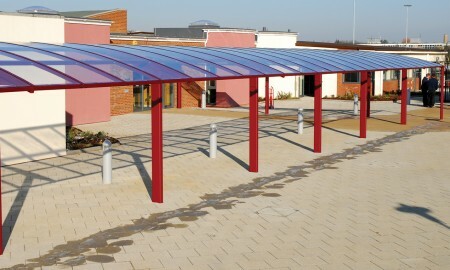 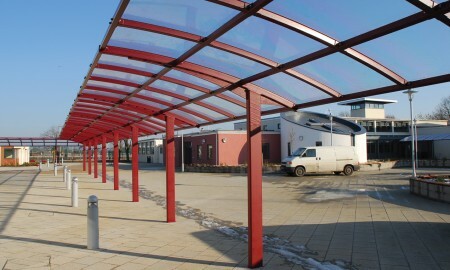 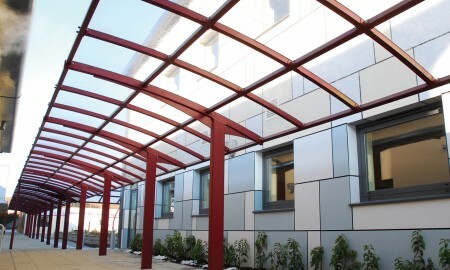 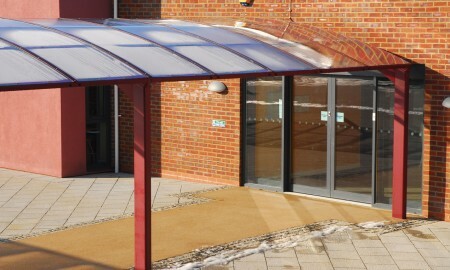 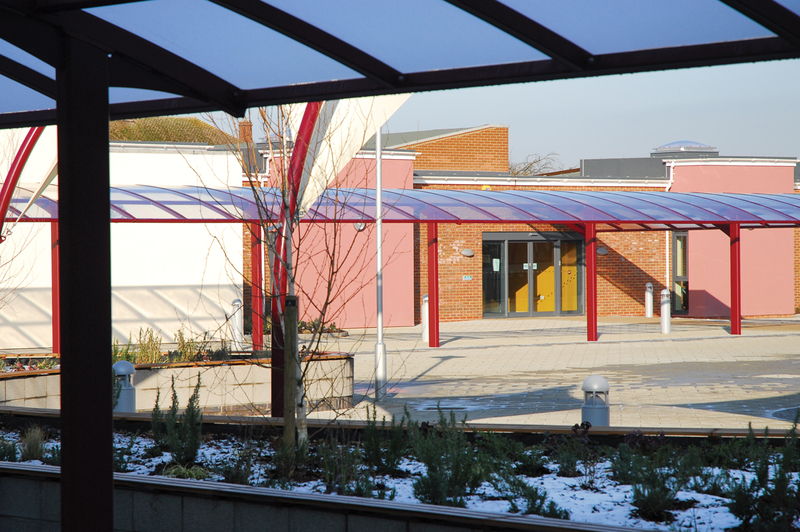 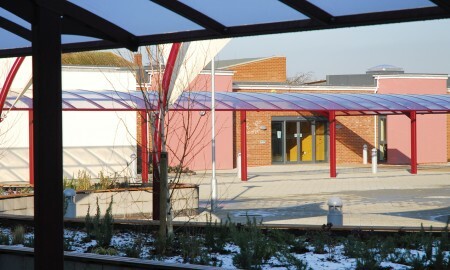 Having seen a similar Broxap scheme the school commissioned Broxap to manufacture and install this attractive cantilevered canopy throughout the entire school complex. 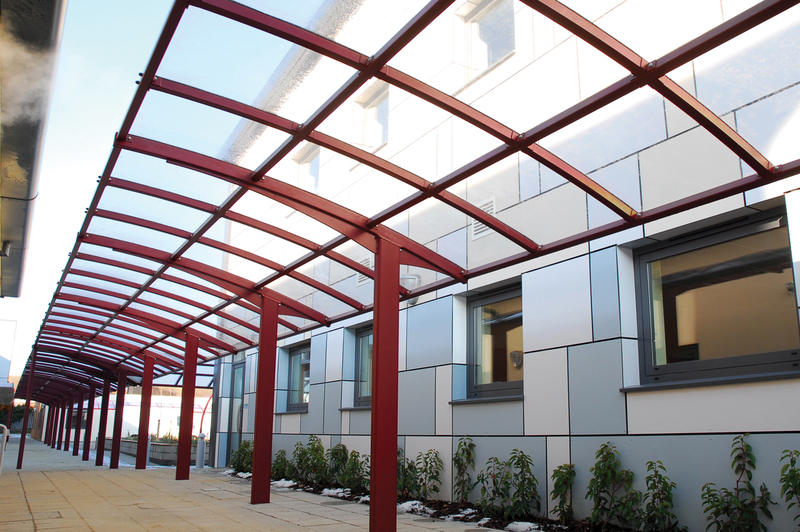 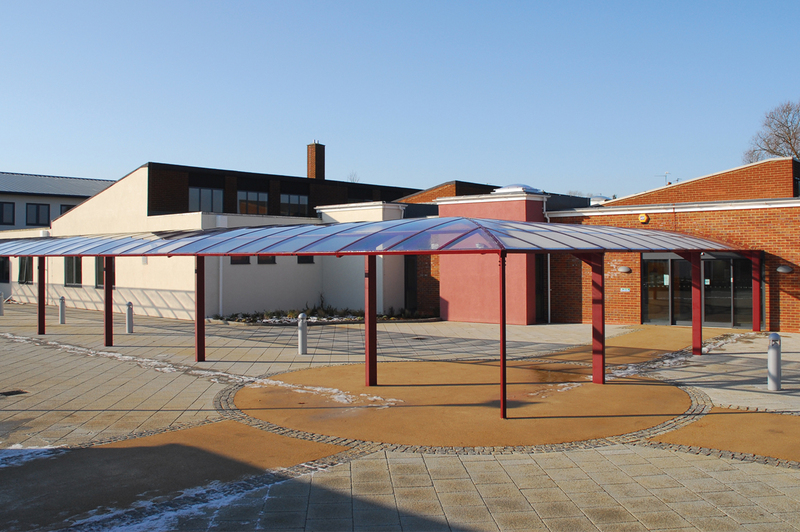 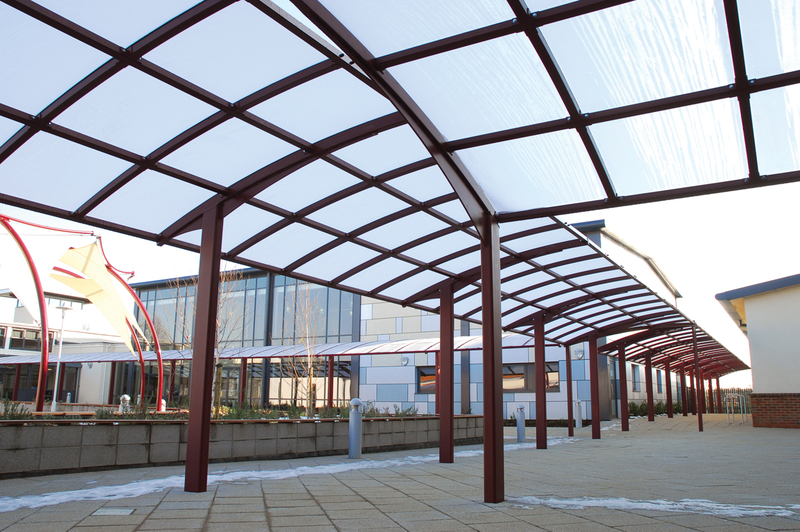 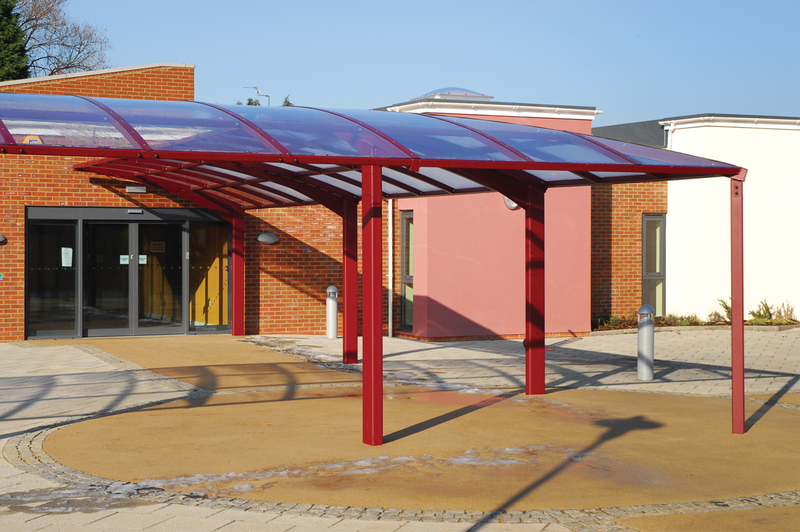 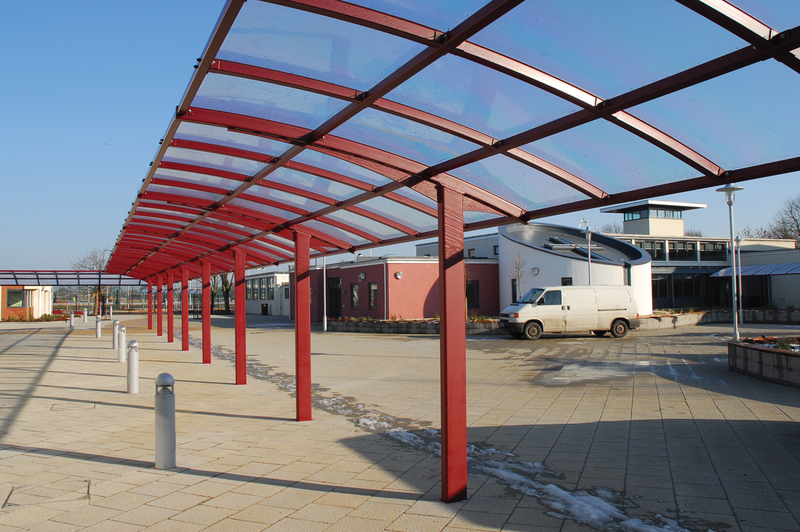 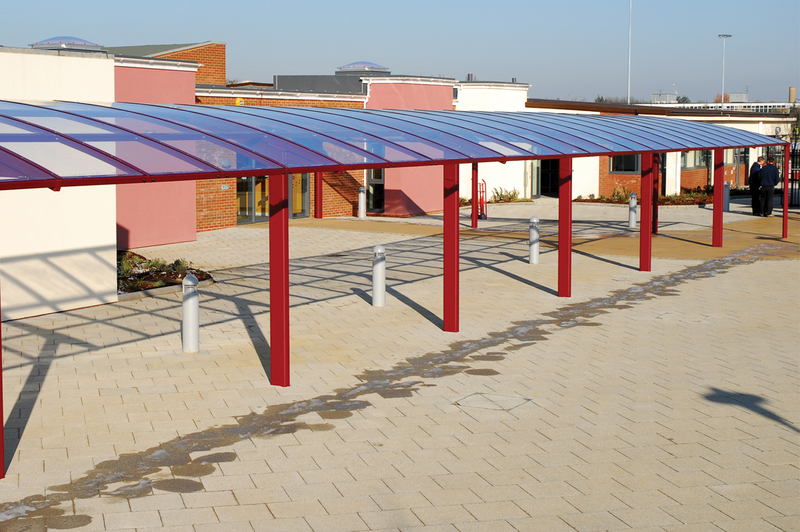 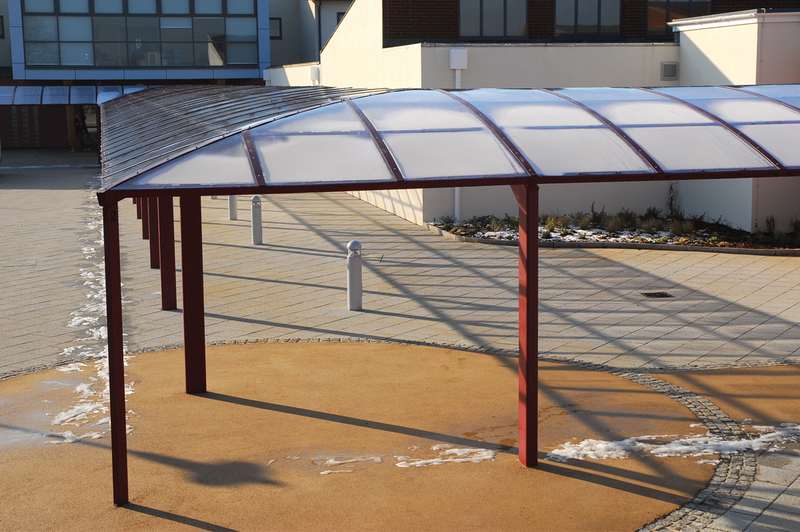 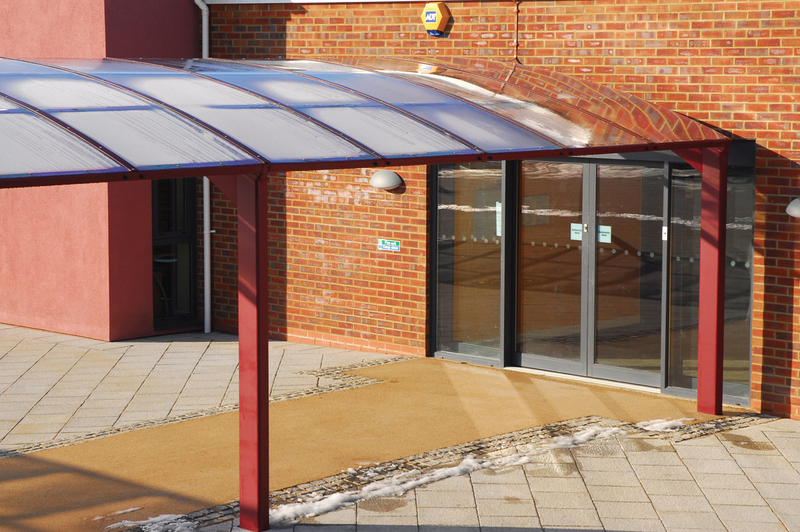 Used primarily to provide weather protection to the main buildings, this design also adds an architectural element to the walkway, as it passes through the heart of the school grounds changing direction to suit the existing footpaths and buildings. 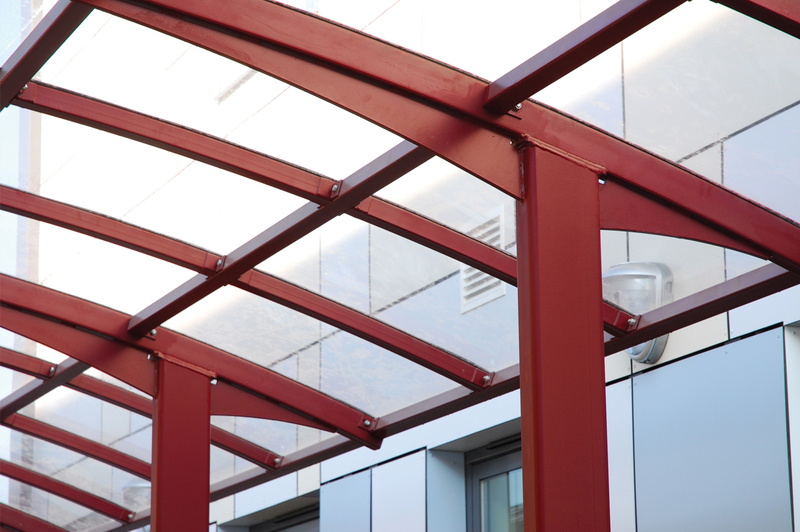 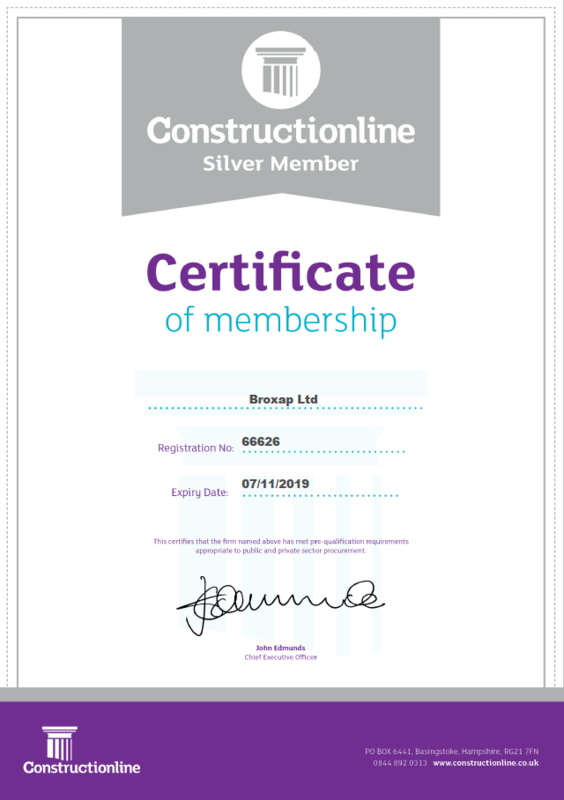 The fantastic results on show are the outcome of the technically accurate surveying, setting-out and installation processes.